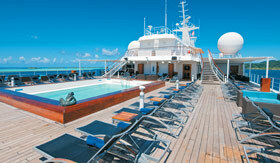 These intimate sailings are very port intensive and focus on the surroundings even when you are onboard. That’s why the m/s Paul Gauguin has an onboard marina for you to waste no time in exploring the surrounding waters. The m/s Paul Gauguin has a beautiful pool where you can go for a dip or just lounge with a cold drink as you take in the gorgeous surroundings. On the m/s Paul Gauguin you can become PADI certified for SCUBA diving. These courses are perfect for beginners or divers looking for a refresher course. 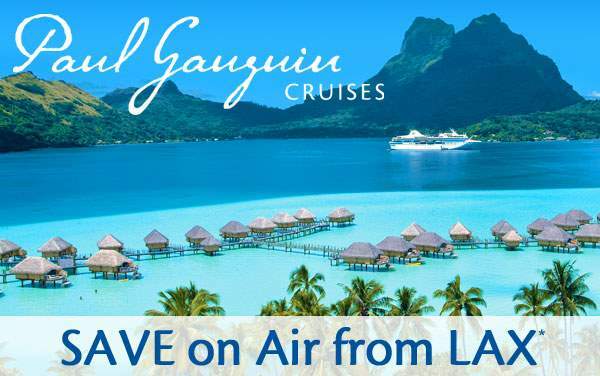 The m/s Paul Gauguin has a retractable platform where guests can easily go from the ship to exploring the crystal blue water of Tahiti. 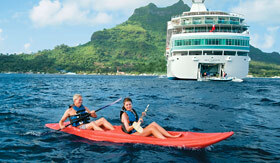 From the marina, guests can windsurf, paddleboard, kayak and SCUBA dive. 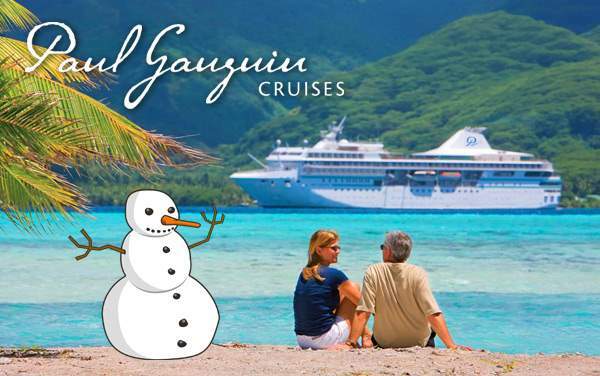 The m/s Paul Gauguin has a boutique where you can stock up on essentials or pick up beautiful souvenirs like black pearl jewelry or Polynesian garb.